How can I manage the timecard of an employee who has more than one positions or multiple positions? 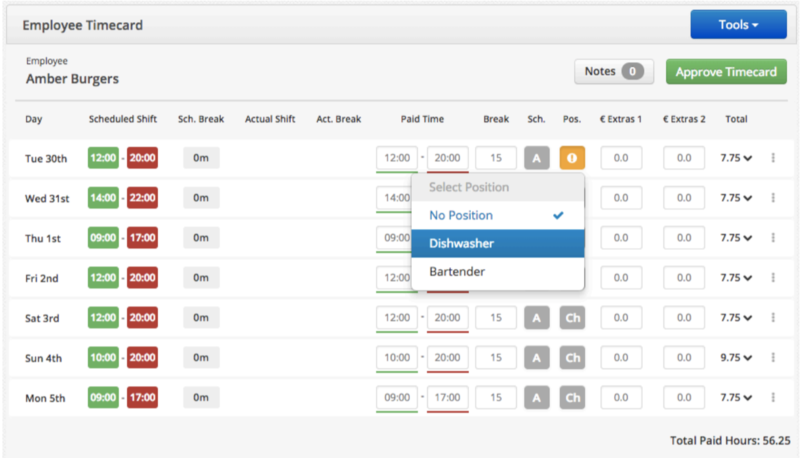 You can now associate an employee’s position with their paid times on their timecard! It appears beside the schedule column on the timecard. What position will be assigned to an employee’s shift? • The position attached to a paid time will default to the position assigned to that shift on the schedule. Select the relevant position. That position is now changed.